Search for homes for sale and Real Estate in the following Los Angeles communities. Beverly Hills is a city in Los Angeles County, California, United States, surrounded by the city of Los Angeles. It is now home to 34,290 inhabitants. Sometimes merely known by one of its primary zip codes, “90210”, it has been home to actors and celebrities. 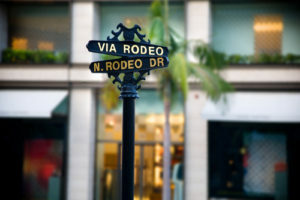 The city also includes the shopping district Rodeo Drive and the Beverly Hills Oil Field. Beverly Hills and the neighboring city of West Hollywood are together entirely surrounded by the city of Los Angeles. Specifically, Beverly Hills is bordered on the northwest by the Los Angeles neighborhood of Bel-Air and the Santa Monica Mountains, on the east by West Hollywood, the Carthay neighborhood of Los Angeles, and the Fairfax District of Los Angeles, and on the south by the Beverlywood neighborhood of Los Angeles. The area’s “Platinum Triangle” is formed by the city of Beverly Hills and the Los Angeles neighborhoods of Bel Air and Holmby Hills. Houses south of Wilshire Boulevard have more urban square and rectangular lots, in general smaller than those to the north. There are also more apartment buildings south of Wilshire Blvd. 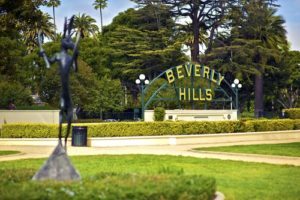 than anywhere else in Beverly Hills, and the average house value south of Wilshire is the lowest in Beverly Hills. Nearly all businesses and government offices in Beverly Hills are located south of Santa Monica Blvd., two notable exceptions being the Beverly Hills Hotel and the Beverly Hilton Hotel. Just outside the city limits to the west lies the Los Angeles Country Club. Other locations commonly associated with Beverly Hills include the Cedars-Sinai Medical Center and the Beverly Center, just outside the city limits to the east. Beverlywood Los Angeles Real Estate is bordered to the north by Airdrome St. and Cashio; Robertson Blvd. and Canfield to the east; Cattaraugus Ave. to the south; Beverwil Dr. and the Hillcrest Country club to the west. Beverlywood is situated between Reynier Village to the east and Cheviot Hills to the west, with the Pico-Robertson area to the north and Culver City and the Palms to the south. One for Beverlywood’s best-kept secrets is Irving Schachter Park, located on the corner of Beverlywood St. and Beverly Dr. This park is completely fenced in, making it a great option for parents with little ones. Let Laura Anderson, Realtor assist you with all of your Beverlywood Real Estate needs. Culver City is a city in western Los Angeles County, California. As of the 2010 census, the city had a population of 38,883. 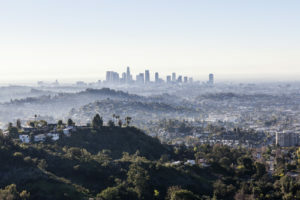 It is mostly surrounded by the city of Los Angeles, but also shares a border with unincorporated areas of Los Angeles County. Over the years, considering its incorporated status, over forty annexations of adjoining areas have occurred. As a result the city now comprises approximately five square miles. Since the 1920s, Culver City has been a significant center for motion picture and later television production, in part because it was the home of MGM Studios. It was also the headquarters for the Hughes Aircraft Company from 1932 to 1985. National Public Radio West and Sony Pictures Entertainment now have headquarters in the city. The NFL Network studio is also based in Culver City. The city is surrounded by the Los Angeles neighborhoods of Mar Vista, West Los Angeles and Palms to the north; Westchester to the south; the Baldwin Hills and Ladera Heights unincorporated areas to the east; and the L.A. neighborhoods of Venice and Playa Vista to the west, along with the unincorporated area of Marina Del Rey.The two primary ZIP Codes for Culver City are 90230 and 90232. Because Zip Codes do not necessarily follow city boundaries, a portion of Culver City is in the 90066 Zip Code which also serves some of the Mar Vista neighborhood of the city of Los Angeles. The major geographic feature of Culver City is Ballona Creek, which runs northeast to southwest through most of the city before it drains into Monica Bay in Marina Del Rey. 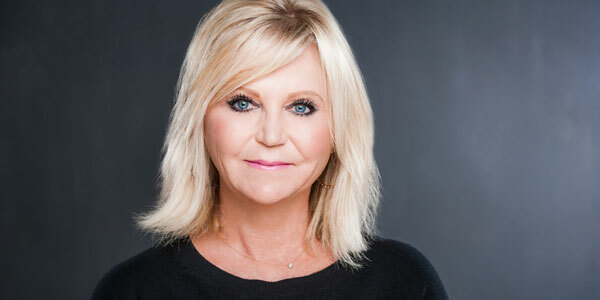 Laura Anderson lists and sells Culver City Real Estate in the Los Angeles area. Click to search listings of Culver City homes for sale and other types of properties. Faircrest Heights is one of the best and most unsung neighborhoods in Los Angeles. It truly is the Gateway to the Westside. Centrally located, the area has great history, value and housing stock for the savvy home buyer. In fact, Business Insider named it one of the 10 Hottest Neighborhoods in America in 2013. One of the most desirable parts of Mid Wilshire of LA, Faircrest Heights’s boundaries are Pico Blvd. to the north, Fairfax Ave. to the east, Washington Blvd. to the south and La Cienega Blvd. to the west. Faircrest Heights real estate has many aspects to recommend it to the prospective home buyer. It lies in proximity to the 10 and 405 freeways, which cuts down on your daily commute. It also is less than one mile from the current western terminus of the Metro Exposition Line, which makes rail commute to Downtown LA a breeze. Soon, the Expo Line will expand all the way to Santa Monica, so beachgoers and Westside workers can leave their cars at home, as well. The main thoroughfares in Faircrest Heights are Fairfax Ave., La Cienega Blvd. and Pico Blvd. Also nearby are Olympic Blvd. and San Vicente Blvd. Faircrest Heights is located within half an hour’s drive of Downtown Los Angeles and the beach, within 15 minutes of Hollywood, Beverly Hills, the Fairfax District and Pico-Robertson. Los Angeles International Airport and Bob Hope Airport are less than 30 and 45 minutes away, respectively. 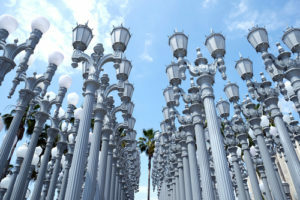 Nearby cultural and recreational amenities include the Los Angeles County Museum of Art, the Petersen Automotive Museum, the Annenberg Space for Photography and the pet-friendly La Cienega Park and Hancock Park, which is home to the La Brea Tar Pits. 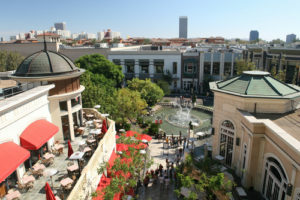 The Grove is one of the hubs of retail activity in Southern California, including a high-end mall, restaurants, a Farmers Market and even a 14-screen movie theater. Other shopping opportunities abound at the Melrose Trading Post, Beverly Center and along 3rd St., and Beverly Hills’s Rodeo Drive is just minutes away. Faircrest Heights has a thriving local food and nightlife scene, as well. Renowned performance venue The Mint lies within the neighborhood, and world-famous bakery Hansen’s Cakes and the restaurants of Little Ethiopia are just to the north on Fairfax. Other local eateries and shops like Paper or Plastik Café, Canter’s, the La Cienega Plaza Shopping Center and several supermarkets and pharmacies are within walking distance. Movie fans have several choices, like repertory houses the Silent Movie Theater and New Beverly Theatre, and new releases at the Pacific at the Grove and the Landmark Theatre at Westside Pavilion mall. Students are served by several highly-ranked schools. Public students in the area are assigned to Carthay Center Elementary School, Daniel Webster Middle School and Alexander Hamilton High School. The Los Angeles Center for Enriched Studies (LACES), a public magnet school which has ranked as one of the Top 100 Public Schools in the nation, is located in Faircrest Heights on 18th St. Private options include Holy Spirit Elementary School, St. Mary Magdalen Elementary School, Torat Hayim Hebrew Academy, Yeshiva of Los Angeles Girls High School, Shalhevet High School and Village Arts Montessori Peace School. The Claude Pepper Senior Center is located in the heart of Faircrest Heights, and it affords plenty of activities for older residents and young ones alike. Kaiser-Permanente Hospital is just outside of the neighborhood along Venice Blvd., and it attends to the health needs of much of Los Angeles, as well as providing jobs for many of our local residents. 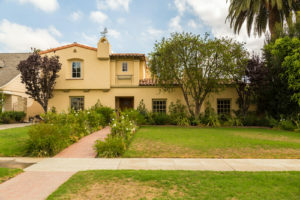 Faircrest Heights is comprised of about 900 mostly single-family homes built in the late 1930s and early 1940s, mostly in Spanish Colonial Revival, English Revival and Minimal Traditional styles. However, a new development of 60 single-family homes is underway in the area, near the old KROQ Radio Station between Fairfax Ave. and Sawyer St. Also, Los Angeles is taking steps to prevent the “mansionization” of properties in the neighborhood, so homes will remain at an appropriate ratio to their lot sizes. You can have your dream of a multi-bedroom home with a yard right in the middle of the city. Single-family homes in the area range from $800,000 to $1.2 million. Check our website often to see profiles of Faircrest Heights homes on the market. Hancock Park is a historic and affluent residential neighborhood in the central region of the City of Los Angeles, California. It is built around the grounds of a private golf club. Developed in the 1920s, the neighborhood features architecturally distinctive residences. I’m ready to assist you with buying or selling Hancock Park Real Estate. There are four private and two public schools in the area. According to the Mapping L.A. project of the Los Angeles Times, Hancock Park is flanked by Hollywood to the north, Larchmont and Windsor Square to the east, Koreatown to the southeast, Mid-Wilshire to the south and southwest and Fairfax to the west. Street boundaries are Melrose Avenue on the north, Arden Boulevard on the east, Wilshire Boulevard on the south and La Brea Avenue on the west. The neighborhood surrounds the grounds of the Wilshire Country Club. Today, the Hancock Park Homeowners Assn. counts about 1,200 homes within the boundaries of Melrose Avenue, Wilshire Boulevard and both sides of Highland and Rossmore avenues. Hollywood is a district in the central region of Los Angeles, California, in the United States. It is notable for its place as the home of the entertainment industry, including several of its historic studios. Its name has come to represent the motion picture industry of the United States. Hollywood is also a highly ethnically diverse, densely populated, economically diverse neighborhood and retail business district. Hollywood was a small community in 1870 and was incorporated as a municipality in 1903. It merged with the City of Los Angeles in 1910, and soon thereafter a film industry began to emerge, eventually becoming dominant in the world. According to the Mapping L.A. project of the Los Angeles Times, Hollywood is flanked by Hollywood Hills to the north, Los Feliz to the northeast, East Hollywood to the east, Larchmont and Hancock Park to the south, Fairfax to the southwest, West Hollywood to the west and Hollywood Hills West to the northwest. Street limits of the Hollywood neighborhood are: north, Hollywood Boulevard from La Brea Avenue to the east boundary of Wattles Garden Park and Franklin Avenue between Bonita and Western avenues; east, Western Avenue; south, Melrose Avenue, and west, La Brea Avenue or the West Hollywood city line. In 1918, H. J. Whitley commissioned architect A. S. Barnes to design Whitley Heights as a Mediterranean-style village on the hills above Hollywood Boulevard, and it became the first celebrity community. Other areas within Hollywood are Franklin Village, Little Armenia, Spaulding Square and Thai Town. 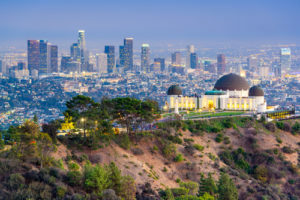 The Hollywood Hills are a part of the Santa Monica Mountains and also a hillside neighborhood of the same name in the central region of the City of Los Angeles, California. It is notable for its views of Los Angeles, and its expensive homes and celebrity inhabitants. It also has several recreational areas and a rich history as the home of many members of the movie pictures industry. Laura Anderson seeks to help you with all of your real estate needs in the Hollywood Hills. Los Feliz is an affluent hillside neighborhood in the central region of Los Angeles California, abutting Hollywood and encompassing part of the Santa Monica Mountains. It is noted for its historic expensive homes and celebrity inhabitants. 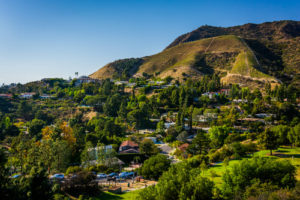 The neighborhood is named after its colonial Spanish-Mexican land grantee, José Vicente Feliz, and, along with present-day Griffith Park, makes up the original Rancho Los Feliz land concession. Los Feliz real estate is found in several smaller neighborhoods. This includes Los Feliz Estates, Laughlin Park, Los Feliz Village, and the Franklin Hills. Los Feliz neighborhood, as mapped by the Los Angeles Times. According to the Mapping L.A. project of the Los Angeles Times, Los Feliz is part of Central L.A. Los Feliz is flanked on the north by Griffith Park, on the northeast by Atwater Village, on the southeast by Silver Lake, on the south by East Hollywood and on the northwest by Hollywood and Hollywood Hills. Street and other boundaries are: the Griffith Park line between Fern Dell Drive and Riverside Drive on the north, Riverside Drive on the east, Hyperion Avenue and Griffith Park Boulevard on the southeast, Fountain Avenue and Hollywood Boulevard on the south, and Western Avenue, Los Feliz Boulevard and Fern Dell Drive on the west and northwest. Feliz means “happy” in Spanish and it’s an accurate name for such a pleasant and livable area of L.A. It’s hard to be down when you’re in walking distance of coffee shops, theaters, boutiques, and sidewalk cafes on Vermont Avenue, between Franklin and Hollywood. Mid-Wilshire is a highly diverse, well-educated and densely populated residential neighborhood in the central region of Los Angeles, California. 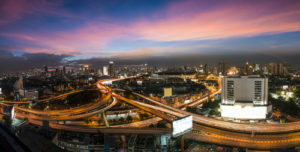 Its commercial and public-use areas also make it the site of world-class museums and research centers and of widely known shopping districts and restaurants. Mid-Wilshire is notable as the most diverse neighborhood or city in Los Angeles County, according to the LA Times’. Mid-Wilshire is the home to three secondary schools, an adult school and seven other schools. A city park is dedicated to the memory of World War I servicemen. There is a hospital and medical center in the neighborhood’s southwest corner. Mid-Wilshire is flanked by Fairfax, Hancock Park and Windsor Square to the north, Koreatown and Arlington Heights to the east, Mid-City to the south and Carthay and Beverly Grove to the west. The neighborhood is bounded on the north by West Third Street, on the northeast by La Brea Avenue and Wilshire Boulevard, on the east by Crenshaw Boulevard, on the south by Pico Boulevard and on the west by Fairfax Avenue. According to the Mapping L.A. project of the Los Angeles Times, Mar Vista is adjoined on the northeast by Palms, on the east, southeast and south by Culver City, on the west by Venice and on the northwest by Santa Monica. The Miracle Mile in Los Angeles, California, is an area in the Mid-Wilshire district and partially in the Mid-City West sub region in the Westside consisting of a 1.5-mile stretch of Wilshire Boulevard between Fairfax and Highland Avenues. It may also refer to the surrounding neighborhoods (including Park La Brea). The Miracle Mile District is bordered by the Fairfax District on the north, Hancock Park on the northeast, Mid-City on the southeast, West Los Angeles on the south, and Carthay Circle, Carthay Square and South Carthay on the southwest. The district’s boundaries are roughly 3rd Street on the north, Highland Avenue on the east, San Vicente Boulevard on the south, and Fairfax Avenue on the west. Major thoroughfares include Wilshire and Olympic Boulevards, La Brea and Fairfax Avenues, and 6th Street. The district’s ZIP codes are 90036 and parts of 90019. Picfair Village is a residential district in the Westside of the city of Los Angeles, California. ‘Picfair’ refers to the northwest corner of Pico and Fairfax, site of the former Picfair Theater. Picfair Village’s boundaries are Pico Boulevard on the north, Hauser Boulevard on the east, Venice Boulevard on the south, and Fairfax Avenue on the west. Picfair Village is part of the P.I.C.O. Neighborhood Council. The Wilshire Vista district lies to the north, as does the Miracle Mile area in the Mid-Wilshire and/or Mid-City West regions where LACMA and the La Brea Tar Pits are located, The Little Ethiopia district lies to the northwest and the Crestview neighborhood to the west where KROQ-FM, LAWPD Receiving Station # D, Electric Charging Station, Pepper Claude Senior Center, La Cienega Plaza Shopping Center, Reynier Park, Rocha House, Crescent Heights Boulevard Elementary School, Shenendoah Street Elementary School, Kaiser Permanente and the magnet school, Los Angeles Center for Enriched Studies are located,Lafayette Square in the Mid-City region where the LAWPD manager building is located to the south and Pico Park in the Mid-Wilshire region to the east. Primary thoroughfares through the area include Pico Boulevard, Venice Boulevard, Fairfax Avenue, and Airdrome, Pickford, Saturn and 18th Streets. Playa del Rey is a beachside community in the Westside of the city of Los Angeles, California. It has a ZIP code of 90293 and area codes of 310 and 424. As of 2005, the district’s population was estimated at 8,600. Playa del Rey is a coastal neighborhood and a district of City of Los Angeles. The rolling hills are the result of ancient, wind-blown, compacted sand dunes which rise up to 125 feet above sea level originally called and often referred to as The Del Rey Hills or “The Bluffs”. These dunes run parallel to the coast line, from Playa del Rey, all the way south to Palos Verdes. The community is bordered by the Pacific Ocean to the west, Marina del Rey and Ballona Creek to the north, Playa Vista to the northeast, Westchester to the east, Los Angeles International Airport and El Segundo to the south. Reynier Village may not be a familiar name to some, but those who really know Los Angeles know that it is a gem of a neighborhood within the Crestview section of town. It has a desirable location with some of the shortest commutes to the four corners of the LA Basin. 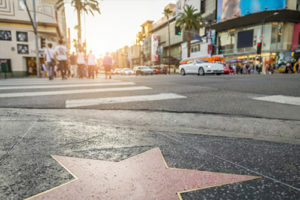 In recent years, it has attracted many entertainment industry and other professionals, including journalists, accountants and consultants, thanks to its proximity to business epicenters Culver City, Century City and Beverly Hills. Reynier Village’s borders are Robertson Blvd. on the west, Cadillac Ave. on the north, Holt St. on the east and Cattaraugus Ave. on the south. In the center of Reynier Village lies Reynier Park. The park features two pavilions, a playground, a basketball court and an expansive green space. Residents and locals from nearby neighborhoods use the space to throw outdoor parties, play sports, exercise and walk their dogs. The Reynier Village Neighborhood Association (RVNA) also hosts communal dinners in the park, as well as extremely popular movie nights in the summer. Reynier Village has a location highly convenient to most major destinations in the city. It is just above Venice Blvd. and the 10 freeway, with the 405 less than two miles to the west. The intersection of Venice and Robertson is the current western terminus of the Metro Exposition Line, which heads all the way east to Downtown LA and is being expanded to the ocean in Santa Monica. Work is set to be completed in 2016-17. The main thoroughfares in Reynier Village are Robertson Blvd., La Cienega Blvd. and Cadillac Ave. Also nearby are Pico Blvd. and Venice Blvd. Reynier Village is within half an hour’s drive of Downtown Los Angeles and the beach, within 20 minutes of Hollywood and within 10 minutes of Beverly Hills and Century City. Los Angeles International Airport and Bob Hope Airport are less than 30 and 45 minutes away, respectively. La Cienega Plaza stands on the edge of the neighborhood, and it contains the La Cienega Farmers Market, which happens every Thursday afternoon and evening. There also is an LA Fitness, a yoga studio, a pharmacy and fast casual eateries, so it remains busy all year round. Shoppers can indulge themselves at the Grove, Melrose Trading Post, the Beverly Center, 3rd St. and Beverly Hills’s Rodeo Drive, which are all just minutes away by car. Downtown Culver City lies less than a mile south-southwest of the neighborhood, and it is one of the hottest dining and nightlife destinations in Los Angeles. Foodies flock to restaurants and watering holes like Father’s Office, Public School, Akasha and Ford’s Filling Station. Arts fans can choose to take in films at the Pacific Theatres Culver Stadium 12 or live performances at the Kirk Douglas Theatre. The neighborhood has a bustling Farmers Market every Tuesday afternoon and evening. Also, Sony Pictures Entertainment is located on the old MGM Studios lot on Washington Blvd., and it is one of the biggest employers in the area. Local students are served by several highly-ranked schools. Public students in the area are assigned to Shenandoah Street Elementary School, Mark Twain Middle School and Alexander Hamilton High School. The Los Angeles Center for Enriched Studies (LACES), a public magnet school which has ranked as one of the Top 100 Public Schools in the nation, is located in nearby Faircrest Heights on 18th St. Private school options include St. Mary Magdalen Elementary School, Bais Chaya Mushka Chabad School, Cheder Menachem School and the Ateret Israel School. For the culturally- and recreationally-inclined, the Annenberg Space for Photography is just minutes away in Century City. Also, the Claude Pepper Senior Center is located in nearby Faircrest Heights, and it affords plenty of activities for older residents and young ones alike. The Beverlywood Swim School has been serving the aquatic needs of Reynier Villagers since 1951. Kaiser-Permanente Hospital is just outside of the neighborhood along Venice Blvd., and it attends to the health needs of much of Los Angeles, as well as providing jobs for many of our local residents. Most of the housing stock is in the Spanish Revival style popular in the 1920s and 1930s. These classic stucco bungalows are a pleasant alternative to the mass of modern-style homes common to the Westside. Most homes are single-story, but many have been expanded or added onto. Single-family residences in the neighborhood range between $700,000 and $900,000. Check our website often to see profiles of Reynier Village homes on the market. 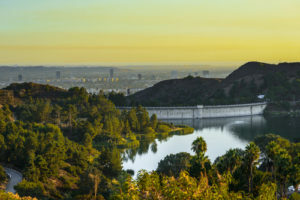 Silver Lake is a residential and commercial neighborhood in the central region of Los Angeles, California, built around a city reservoir which gives the district its name. It’s known for its restaurants and clubs, and many notable people have made their homes there. Silver Lake is flanked on the northeast by Atwater Village and Elysian Valley, on the southeast by Echo Park, on the southwest by Westlake, on the west by East Hollywood and on the northwest by Los Feliz. Street and other boundaries are: the Los Angeles River between Glendale Boulevard and Fletcher Drive and Riverside Drive on the northeast, the Glendale Freeway on the east, Effie Street, Coronado Street, Berkeley Avenue and Fletcher Drive on the southeast, the Hollywood Freeway on the south, Hoover Street on the west and Fountain Avenue and Hyperion Avenue on the northwest. Silver Lake, known as one of “the city’s hippest neighborhoods”, has many bars, night clubs and restaurants. Since the 1990s, Silver Lake has become the center of the alternative and indie rock scene in Los Angeles. The neighborhood was home to two major street festivals each year: the Silver Lake Jubilee, held in May and the Sunset Junction Street Fair, held in August. West Hollywood is a city in Los Angeles County, California, United States. It is notably famous for its unique vibrant commercial corridors, dining, and eccentric nightlife focused on the Sunset Strip. 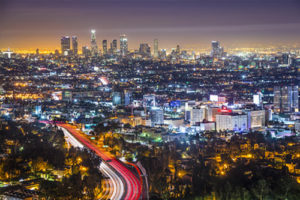 West Hollywood is bordered on the north by the Hollywood Hills neighborhood of Los Angeles, on the east by the Hollywood district of Los Angeles, on the south by the Fairfax district of Los Angeles, and on the west by the city of Beverly Hills. The irregular border of the city is featured in the city logo, and was largely formed from the unincorporated Los Angeles County area that had not become part of the surrounding cities. West Hollywood benefits from a very dense, compact urban form with small lots, mixed land use, and a walkable street grid. According to Walkscore, a website that ranks cities based on walkability, West Hollywood is the most walkable city in California with a Walkscore of 89.